The BOB Revolution Pro Jogging Stroller has all the qualities one would want in a jogger/stroller: adjustable handles to fit any user height, hand-activated rear drum brakes that allow for easy control when going downhill, adjustable suspension system that makes ride smooth, front wheel locks that allow for straighter path or unlocked to swivel whichever way you want it to go. The jogger is provided with an extra large basket to put baby’s supplies in. Bit on the bulky side. It takes 2 steps to fold so you have to have both hands free to have this folded. The BOB Revolution Pro Jogging Stroller is made of high quality materials and can be made complete by purchasing additional accessories such as parent tray, supplies basket, padded handle bars and car seat adapters. The jogger/stroller is priced on the high side. This makes one expect that it could be more or less complete but you do have to pay for accessories if you would want these. There are a good number of confirmed buyers who also reported on quality issues which unfortunately have not been addressed. 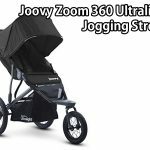 Over-all, this jogger stroller was made with the customer in mind: it has adjustable handlebars for use by different height moms, the tires are air filled and suspension is great so that child can sit comfortably in the jogger without too much fuss. Some sort of quality check must be done though as much is expected from the product considering that the price is on the high side. The reclining seat can be adjusted to many positions so that the child can lie prostate on the jogger of sit upright getting full view of the scenery as he enjoys his jig with mom or dad. Traversing uneven terrain is also made easy with the hand held rear brakes that can be manually controlled most especially when going downhill. 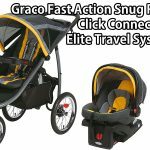 For those planning to bring the stroller on their road travels, make sure that you have room enough to carry the folded jogger as it is quite bulky and may need room for transporting to other places.